TV, radio, online, apps, Twitter, Facebook, Instagram and IRL! With England, Northern Ireland and Wales involved in a major tournament for the first time since 1958 (plus the Republic of Ireland, of course), there's unprecedented interest from across the UK. And ever since the draw took place back in December. This is the 15th tournament to take place on the four-yearly cycle (the first known as the UEFA European Nations Cup in 1960) and it will take place from 10 June – 10 July 2016. 10 venues will host 51 games. This is the first tournament to boast an expanded format - 24 teams instead of 16. There were only four teams originally, expanding to eight in 1980 and going to 16 in 1996. France automatically qualified as hosts. Teams are in groups of four (see below) with the six group winners, six group runners-up and the four best third-placed teams going through to the round of 16. As you'd expect, it then becomes a knockout competition. We quite like the Guardian's online interactive wallchart, but if you want something a bit more physical then buy the new issue 257 of T3 Magazine - out on Friday 10 June it features an A1 wallchart sponsored by Loewe. Go buy! This one's easy. As one of Ofcom's 'crown jewel' events – along with things like the Grand National and Olympics – the European Championships has to be on free-to-air TV by law (the World Cup and FA Cup Final also fall into this category). The matches are split between the BBC and ITV (STV/UTV) as is the norm for such events. The group stage match split was announced back in December. After that, ITV has first, pick of the round of 16 and then the BBC will get its preferred quarter-finals. In Ireland, the championship will be broadcast free-to-air on RTE. BBC Online will probably be the best place on the web to actually catch the games, with full matches on iPlayer. ITV will also post catch-up games on the awfully-named ITV Hub and its Scotland and Northern Ireland equivalents - UTV Player and STV Player. Either ITV or the BBC has a highlights show each night – usually, this will be the broadcaster that doesn't have a game in the evening. The highlights shows are slated to be broadcast after each broadcaster's 10pm news slot. If you want to see games in a pub, then check out MatchPint - it will recommend local pubs where you can see sport and has saved this writer numerous times. BBC Radio 5 Live has the rights, and there will be a whopping 24 days of live football coverage on Radio 5 live. The Guardian's Football Weekly podcast crew will also be doing a daily show during the tournament - say hello to Football Daily! Sponsor Orange (yes, it's still called Orange in France) will be lighting up the Eiffel Tower with the colours of different nations count mentions of each participating country at 12:01 AM until 9:30 PM CEST the following evening for the duration of the tournament. 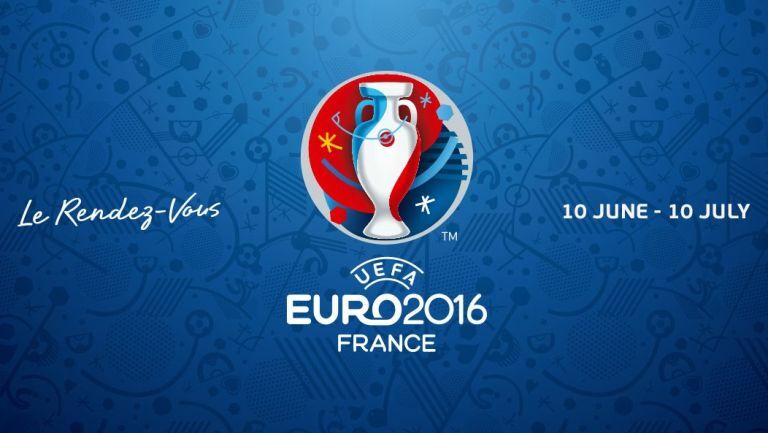 Expect plenty of BBC Euro 2016 action via Facebook Live, Periscope, and Snapchat – but sadly no 4K. It was more through hope than expectation that we attended the BBC's Euro 2016 launch – we really wanted there to be some announcement around a 4K broadcast, but it wasn't to be even though it trialled an internal broadcast of the tech during the 2014 World Cup and is set to do the same for this summer's Rio Olympics. Wales' first match at a major tournament since 1958 – against Slovakia – will be on the BBC, along with Northern Ireland's opening match against Poland and crucial final group game against world champions Germany. The BBC will also be showing Germany's opening game against Ukraine and the Republic of Ireland's first match against Sweden. Instead, the BBC is driving home its success away from the cameras with a concerted effort to give behind-the-scenes insight via Twitter, Facebook Live, Periscope and Snapchat. And, of course, there is extensive coverage across BBC One, BBC Two, BBC Four, online and BBC Radio 5 Live. Once again Gary Lineker fronts the TV coverage with 140 hours scheduled. Dylan Ebenezer and Nic Parri will lead presentation duties for BBC Wales on S4C, while Stephen Watson and Michael McNamee will be at the helm on BBC Northern Ireland. Mark Chapman and Kelly Cates will be at the helm on Radio 5 live alongside Caroline Barker and Dan Walker. The key pundits are Alan Shearer and Rio Ferdinand plus World Cup winner Thierry Henry. There will also be multi-platform contributions throughout the tournament from John Motson, Frank Lampard and Jurgen Klinsmann. They join an impressive line-up of former internationals working across the BBC's coverage including Danny Murphy, Jermaine Jenas, Robbie Savage, Martin Keown, John Hartson, Mark Lawrenson, Kevin Kilbane, Neil Lennon, Gerry Armstrong, Chris Waddle, Danny Mills, Pat Nevin, Chris Brunt and Trevor Sinclair. As we said above, there will be full coverage on BBC Online and BBC iPlayer. ITV has England's first and final group games against Russia and Slovakia, Northern Ireland v Ukraine, Russia v Wales and the Republic of Ireland's games against Belgium and Italy. ITV's coverage – which has been promoted by France and Manchester United legend Eric Cantona - will be based at a studio in Paris, overlooking the Seine and the Notre Dame. Those joining main presenter Mark Pougatch and the ITV Sport team include Slaven Bilic and Lothar Matthaus alongside Glenn Hoddle, Ian Wright and Lee Dixon, Peter Crouch, Tony Pulis, Emmanuel Petit, Christian Karembeu, Louis Saha, Norman Whiteside, Eniola Aluko and Richard Dunne. Other key members of the ITV team include presenter Jacqui Oatley, commentators Clive Tyldesley, Sam Matterface, Joe Speight and David Stowell, co-commentators Andy Townsend and Iain Dowie, and reporters Gabriel Clarke and Leon Mann. We've previously mentioned the terrific MatchPint which recommends local pubs where you can see games. But there are also a few other apps which can help you enjoy the game. If you're watching from home the BBC iPlayer app (iOS / Android) and iTV Hub (iOS / Android) are perfecting for catching up on the action. Sustenance is just a few taps on your smartphone away, without missing a crucial moment, thanks to Dominos (iOS / Android) and Deliveroo (iOS / Android). If you're travelling to watch the games, Moovit (iOS / Android) is perfect for getting you around on public transport, AroundMe (iOS / Android) will help you find anything you need, and Airbnb (iOS / Android) will put a roof over your head. What would we do without smartphones? Titanic Belfast will have a big screen for Northern Ireland supporters plus a fanzone, while there will be screens at Castle Square in Swansea as well as in Cardiff (the council hasn't said where yet. All of Wales' matches, meanwhile, will be shown at, Cooper's Field in Cardiff which can hold 6,000 fans. Finally, here's a list of every Euro 2016 game, including kick-off times, locations and, for the group games, which TV channels will be showing them.